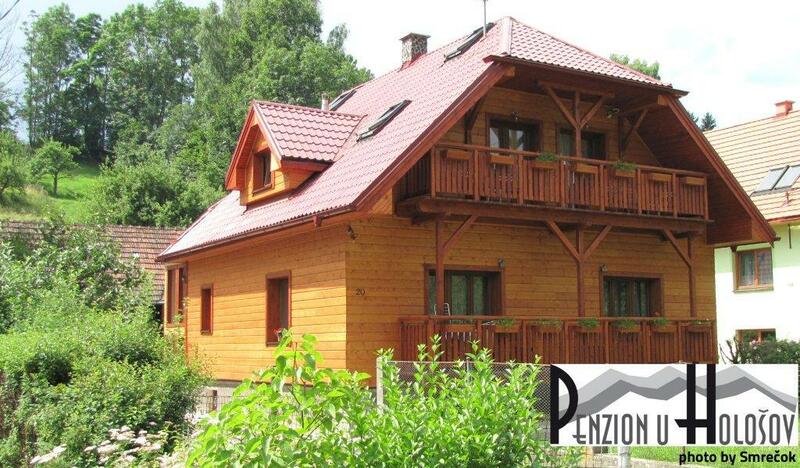 Penzion U Hološov is a family-run guest house located in Smrečany. It offers a garden with a large playground, a rustic, common living room with a TV and a shared-use kitchen. Liptovsky Mikulas is 5 km away and the Ziar-Dolinky Ski Area is 3.5 km away. The property offers a Liptov Card for free and a discounted Go Pass. All accommodation units feature a TV, free WiFi and wooden floors. A bathroom with a shower is standard in all rooms and studio, and some units feature a private kitchenette. Guests can play table tennis on site and make use of barbecue facilities and a terrace. Refreshing drinks are served at U Hološov Penzion’s bar. A wellness area with a sauna and a hot tub is also available in the winter season. A grocery store is 500 m away and in the village centre, guests can find a tennis court, an iceskating rink and a volleyball court. A fitness centre is 400 m away. The Opalisko Ski Area is 12 km away and the Tatralandia Aquapark is 10 km from the premises. Surrounded by the Western Tatras and set in a quiet part of Smrečany village, Rekreačný Dom Shalom offers a self-catered accommodation in apartments, free WiFi available in all areas, free parking possible on site and a terrace. Aquapark Tatralandia is reachable within 10 km from the property.